Loredano Rosin belongs to the last generation of traditional Murano glass masters who were trained in the ancient artisan ways. For better or for worse, he and his brothers were not free to choose their profession. Compelled as they were by the geography of their place of birth, by the local mentality and, above all, by economic necessity, they began working with glass during their early teenage years. Only later as adults they realized how fortunate they were. When Loredano Rosin was only thirteen, he was already working for more than ten hours a day. After those long hours he had little time and energy left to play or to express his imagination outside the work environment. Therefore, little by little almost as a game, he began playing with glass and gradually learned to manipulate it. Loredano learned all the traditional techniques of Murano glass making, but glass blowing did not satisfy him. Rather, he was more attracted by the process of shaping solid mass glasses. In 1965 a great opportunity came his way: the furnace “Fucina degli Angeli” was looking for masters to carry out some important projects. The first piece to realize was Pablo Picasso’s Nymphs and Fauns at “Fucina degli Angeli”. 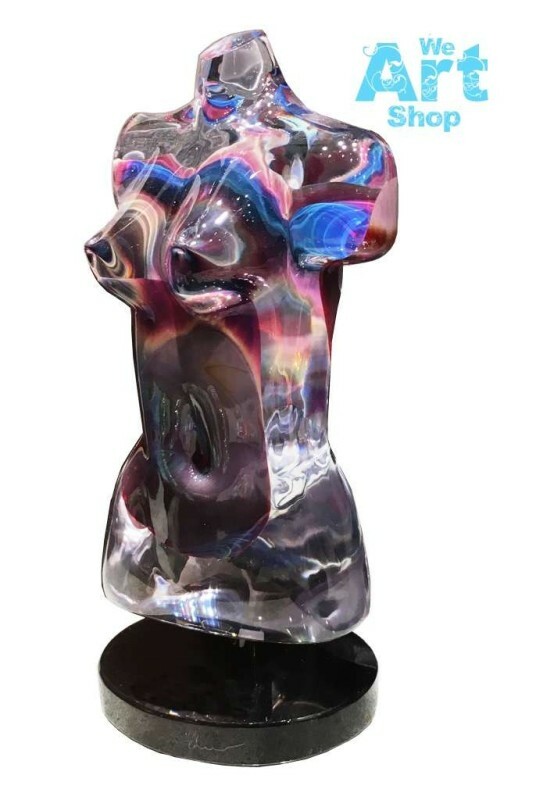 It was a great challenge for Loredano to translate the designs of world famous artists into a glass sculpture, especially because those artists did not take into account the technical limits of glass working. The success Loredano was able to achieve is above all due to the traditional training he received, which allowed him to know all the possibilities given by the material. 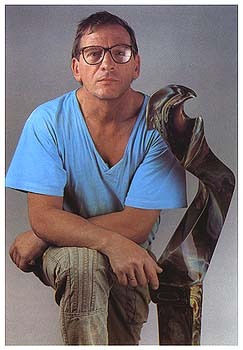 He was also helped by the fact he had never worked for other glass sculptors, whose methods could have influenced his technique. In this way he was free to experiment and innovate without fixed pattern of thoughts and free from preconceived ideas. Ten years later when Loredano was able to open his own studio, he began to develop designs and works that transmit his way of seeing and experiencing the world. He preferred to represent the figurative aspect of art, which he felt gave him the greatest opportunity to describe the human being and his feelings: love, friendship and couples in general, are all recurrent themes. Paired figures help to create a visual and emotional tension that he constantly seeks in his work, so to maintain an architectural equilibrium even in the most abstract pieces.